You know what is happy? 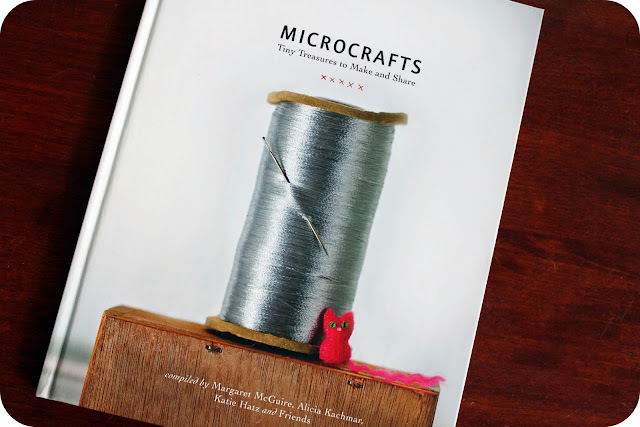 New craft books. I got a couple new ones to tell you guys about. I love them so much. I keep walking by them and patting the covers or flipping them open to check out the pictures. I can't wait until I have time to try out some of the projects. I can't resist anything tiny, so when I came across Microcrafts, I knew I had to have it. 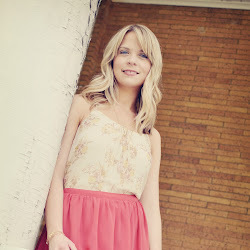 The photography is so great, and the projects are just so tiny and sweet. Are they practical things? Nah, but sometimes you need to make something that is just because. Tiny owls, bitty little deer, a teensy card. All less than 2 inches. Adorbs. 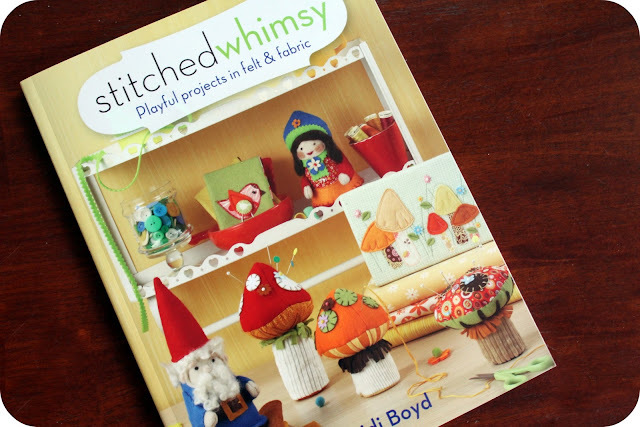 I also ordered the new book, Stitched Whimsy. Also really cute, but I would most likely make the projects in this book for a kid. The pictures are so bright and cheery and make me smile. Look at that peg people house! Every little girl needs one. And I think those felt deer need to be made for Christmas. 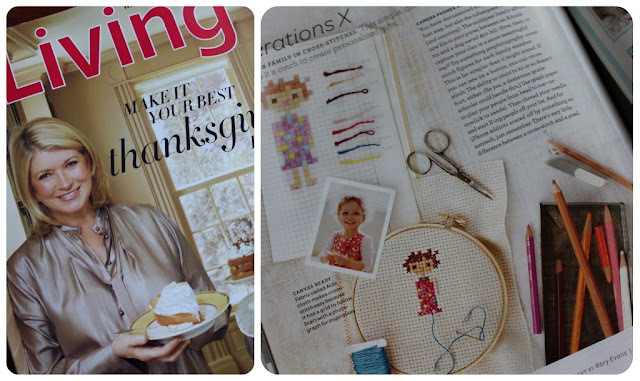 Also along the lines of craft books, I just got this months issue of Martha Stewart Living. A cross stitch article - yay! What about you? 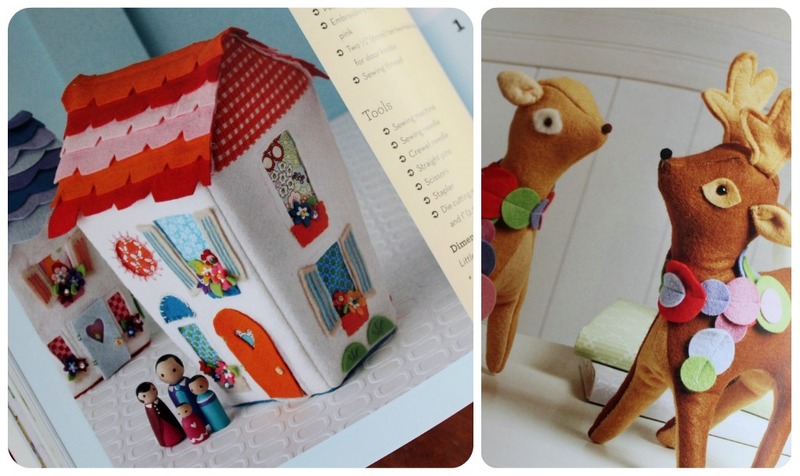 Any new craft books or magazines that you are loving? I'm diving back into the Opinionated Knitter by Elizabeth Zimmermanm to knit my dad some socks for Christmas. Your blog is so inspiring. I like papercraft cause thats easy to do with the kids. Loving the teeny tiny owls! Thanks for sharing this great collection of crafty reads! I am a new follower- would be honored if you followed back! !